My story, “Save Wong Ah Fook mansion” in NST Streets Johor on Apr 18, evoked different responses from readers but all of them echoed the same sentiment to save the old mansion. A reader posted my story in a popular social media site and netizens responded with comments, also urging for the preservation of this heritage building. I can see from their names that people of all races share the same opinion that it is imperative to preserve the Wong Ah Fook mansion because it is part of Johor Baru’s rich history. With a daily influx of tourists and travelers who pass through this city – probably along Jalan Wong Ah Fook – before heading north and other destinations, Johor Baru has long been regarded as the Gateway to Peninsular Malaysia. We must face the reality that foreign tourists do not come here primarily to patronise our modern malls because the brands and merchandise may have originated from their own countries. They are in fact, more interested in our handicrafts and products of local origin and in visiting sights like our museums, palaces, places of worship and the rows of pre-war and pre-independence shop-houses as well as our heritage buildings. to be restored to their former glory! I know that public opinion can help to convince the authorities concerned to preserve a heritage building and I’m encouraged that netizens are just one segment of our community who are passionate about preserving our heritage. When the news broke that the Wong Ah Fook mansion may soon be history, Stulang assemblyman Andrew Chen Kah Eng handed a memorandum to the state government to urge them to preserve the old mansion. Meanwhile, leaders of the Johor Baru Tiong Hua Associations rallied together to prepare a formal appeal to the Johor Menteri Besar. Last week the Rotary Club of Johor Baru considered the topic on Wong Ah Fook and the current issue about his mansion in their weekly meeting. Members who are also passionate about the conservation of local heritage discussed the old mansion’s historical significance and how it can promote culture and heritage not just for tourism but for the benefit of future generations. As a result of this discussion, a club member who was also former Johor State Executive Councillor and Wakil Rakyat for Gertak Merah (2 terms) and Stulang (3 terms), Datuk Freddie Long Hoo Hin, initiated a campaign to Save the Wong Ah Fook Mansion. After Senior Consultant Surgeon with the Puteri Specialist Hospital, Dr S. Shanmugam, visited the Wong Ah Fook mansion, he was inspired and wrote me to express his concerns and shared a lovely poem that he penned. Last Friday, Chen, Long and some media representatives witnessed workers removing debris and dismantling the ugly extensions at the old mansion and observed how its original façade was slowly revealed. The sight of the elegant arches, airy windows and the original eaves on the roof are the conservationists’ dream simply because of the vast potential for them to be restored to their former glory! Both the government and property owners must understand that conservation of heritage buildings contributes to the emotional ties of the local people and their sensitivity towards the past. As such, the authorities should act in the people’s interest to find solutions to enable our heritage buildings to be conserved while the property owners are not deprived of enjoying the value of the property. Conservation work is expensive and the corporation that owns the old mansion should be given a package of incentives and tax breaks to help them with the building’s restoration work. Incidentally I was at a Soroptimist International JB event last week where Datin Patricia Lim Pui Huen, the great-grand daughter of Wong Ah Fook, was a guest speaker. 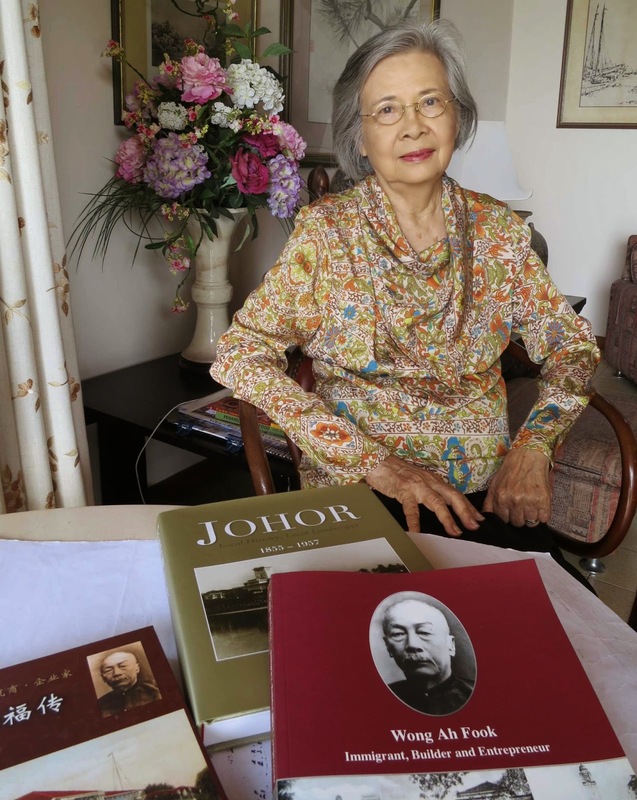 She is a professional historian and author of several well researched books including, Wong Ah Fook - Immigrant, Builder and Entrepreneur (Times Editions 2002) and Johor – Local History, Local Landscapes 1855 to 1957 (Straits Times Press 2009). After the event, we had a chat and I could sense her distress as she told me how she replied to the Chinese media who approached her for comments about the old mansion. The former main wet market in Kuala Lumpur was preserved and adapted for reuse in 1986 as Central Market, a commercial cultural centre to showcase Malaysian traditional handicrafts, and is now a popular destination for both locals and foreign tourists. This was achieved through the efforts of the Malaysian Heritage Society, the precursor of Badan Warisan Malaysia, which has expanded its heritage conservation work to Malacca and Georgetown in Penang – cities declared UNESCO World Heritage Sites in 2008. While heritage societies have been formed by Malaysians in Taiping, Perak and Sabah who are actively involved in conserving and preserving their local heritage, it is heart-warming to see how Johoreans are emerging with an earnest desire to conserve our precious heritage. They include under-graduates from the UTM Architecture faculty who are keen to study the old mansion and have joined the voices calling for the building conservation but this does not mean we want to stop development. The government is the guardian of cultural and natural resources and they must use policies, laws, plans and guidelines to ensure the long-term sustainability of these resources. Just as an old wet market was transformed into the vibrant Central Market in KL, the corporation that owns the old mansion must consider the unique potential of how the Wong Ah Fook mansion can be adapted for use as a shining centerpiece to add more value to their modern development. Rally and heed to the clarion call. Historic it is, within our dimension. On Bukit Meldrum strategically so. From his verandah, a view to embalm. their elegance amidst this unfortunate decrepit state. 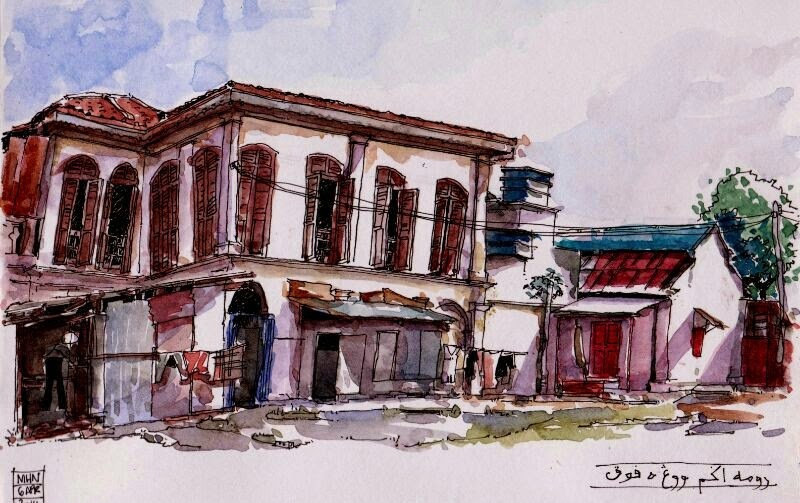 Its Johor’s past and present, preserve it at any rate! Earlier came he as a novice carpenter. And other stately buildings as a task. Divides the city, east and west in trim. A heritage Mansion, preserve it for posterity. Oh, will it be torn down, oh dear, I grimaced! but do not tear it down for the sake of history. At about 4.40pm on Thursday, 1 May 2014, I received a telephone call from Dr Shan who told me that the old mansion was being demolished! He shared this photo of the demolition site. The old mansion is no more. When Olive restaurant opened at the promenade of Little Red Cube, Puteri Harbour in Nusajaya last April, fans of good Indian food were delighted to discover that it is a fine dine restaurant with a bar. Since their first outlet was opened in Kuala Lumpur in 2004, the group has established itself with a reputation for authentic North Indian cuisine and after opening six outlets, this is its first opened in Johor. Designed with a restaurant and bar, diners at Olive can enjoy drinks before dinner or linger over drinks after dinner in the outdoor section that overlooks the marina at Puteri HarbouraH. Now a year on, more customers are discovering the charming ambience at Olive and their menu of traditional recipes that are whipped up by a team of chefs who are hand-picked from various cities in India. Being part of a group of restaurants gives Olive an added edge because the chefs and crew are regularly rotated among its restaurants to give them a change as well as a further challenge to work in different environments. Their experience and exposure at every outlet goes a long way to keep their work interesting and food ideas refreshed. The menu is filled with an array of mouth-watering dishes that are suitable for both vegetarians and non-vegetarians. While ala carte items are listed by their traditional names like Gosht Rogan Josh (lamb) and Murg Mahkani (chicken), brief descriptions are provided n English to help diners with their selections. Ala carte dishes are freshly cooked so diners should be ready for a patient wait as it would take time for a few dishes to be prepared and served together. At Olive, ancient recipes are brought to life for diners to enjoy an authentic North Indian cuisine experience without any compromise on food quality. They also take pride in the claim that no artificial flavouring or ghee is used in their dishes. So discerning palates will notice how their chefs apply age old traditions to create food flavours from fresh ingredients that not only ensure dining satisfaction but also a comfortable after taste! Whet your appetite with a Mango Lassi drink and nibble on Multani Tikkey vegetarian appetizers made with minced potatoes, cottage cheese and salted masala, while waiting for your meal to be served. A platter of Afghani Mixed Tandoor with sizzling hot prawns, fish, chicken and Afghani sheesh kebab drizzled with a blend of chilli and tomato sauce, is perfect for sharing while gravies like Prawn Chettinad and Murg (chicken) Tikka Butter Masala go well with a choice of freshly baked breads like naan, roti and chapatti. Vegetarians will be delighted with the list of lentil items that include Daal Mahkani – black lentils slow-cooked in the tandoor and simmered with fragrant Indian spices. Chicken Chettinad Pizza is a popular choice! If you must have rice, then go for Olive’s Combo Briyani, a serving of basmati rice complete with tender pieces of chicken, lamb and prawn, served with a side of Raitha. Then satisfy your sweet tooth with traditional Indian desserts like Gulab Jamun and Ras Malai and wash it down with sips of hot Masala Tea. Late night diners will enjoy the bar menu which lists delectable snacks like Gobi 65 and plump samosas in a choice of vegetable, chicken or mutton fillings and a range of pizza with a selection of toppings in uniquely Indian flavours! With 10 years experience in the food catering industry, Olive also caters for weddings as well as corporate and private events. And as a member of the Malaysian Tourism Board and the Malaysian Inbound Tourist Association, their spacious restaurant is often the venue for lunch or dinner buffet spreads catered for tour groups. The Olive Kitchen & Bar plans to have a special celebration on their first anniversary with regulars who have since become their friends. ﻿Peter Cheong told me he was coming to Johor Baru again, this time with his daughter, Natasha, so that he could show her the links to their family history in the Johor Baru Chinese Heritage Museum and the Johor Baru Kwong Siew Heritage Gallery. After he read my story about Wong Ah Fook and the Kwong Siew Heritage Gallery in 2013, he wrote me and came to JB to discover more about his mother’s side of the family here. Natasha was visiting from Canada and after Johor Baru, they were heading to Singapore to meet with relatives there. As always, I want to introduce my visitors to some local food and Peter assured me that Natasha enjoys all kinds of food – and does not even mind the spicy heat of chilli! This helped with my decision to head to the Qin Garden coffee-shop where my friend Adam has his Nasi Padang stall. It was good that we arrived just before the lunch crowd because I know that it can get rather chaotic when the hungry people, who are familiar with the food, start to help themselves to the buffet spread and we may not even have space to stand! I think my visitors got very excited with the variety of food and couldn’t resist a little of each item but I was glad to see how they polished off their plates! In the past few weeks, I had the great pleasure to taste a wide variety of food with friends and family members. Here is a glimpse of what I enjoyed in new and familiar places, both near and far. Rich beefy broth with just a hint of herbal taste that truly satisfies! and let it slowly melt in a sip of unsweetened coffee ...mmm...delicious! Notice two sticks of ox tripe [Right], a rare treat to indulge in! There are caramelized onions under that cheese square! On Monday, I had a sneak peek into some of the hotel facilities that are fast taking shape in DoubleTree by Hilton Johor Baru at Jalan Ngee Heng, escorted by none other than General Manager, Simon McGrath. I could sense the excitement as McGarth took me up and down the stairs, through the back-of-the-house and around the building to see the lobby, restaurants and swimming pool while workers continued with their tasks. As furniture and fixtures are being installed I could visualize the elegance in the finished work and am thrilled that DoubleTree by Hilton is bringing an international brand to Johor Baru. Recalling the many memories I shared about growing up in our Ah Kong or grandfather’s house at No.154 Jalan Ngee Heng, it’s interesting that back then nobody anticipated how this familiar street would be given a new lease of life. At that time, the area adjacent to the Church of the Immaculate Conception at Jalan Gereja was what locals considered “church land” and the properties built along Jalan Ngee Heng on that side of the road belonged to the church. In fact, the families who used to live in the residential properties here were mainly from the church. While I was searching for pictures of trishaws to use with my story, “When trishaws were taxis” (NST, 4 Mar 2011) I discovered precious photos from my Uncle Victor’s collection. He was an avid photographer with the Photography Society of St Joseph School and had some photos of the Chingay parade in 1965 that featured trishaws in them. I’m also thrilled to discover that one photo captured the view of shoplot No. 163 Jalan Ngee Heng with a row of residential properties opposite that marks the spot where DoubleTree by Hilton Johor Baru now stands! 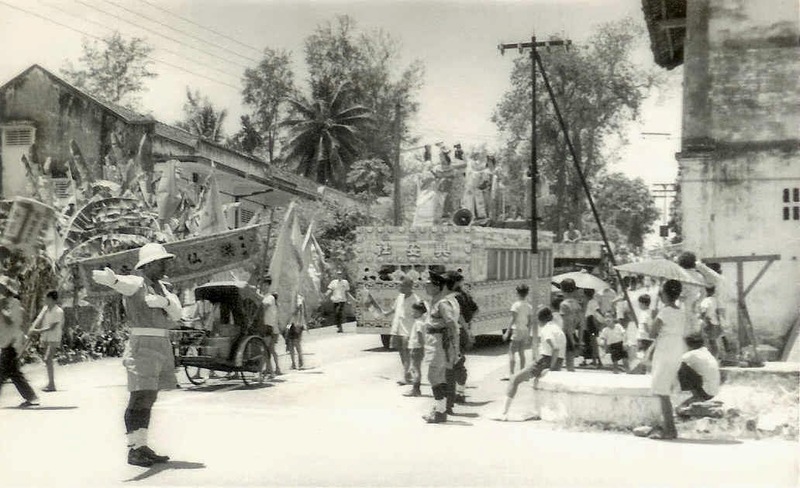 This is a precious glimpse of a bygone era when Policemen still wore shorts and Jalan Ngee Heng was a main route for the Chingay parade’s annual tour around Johor Baru. 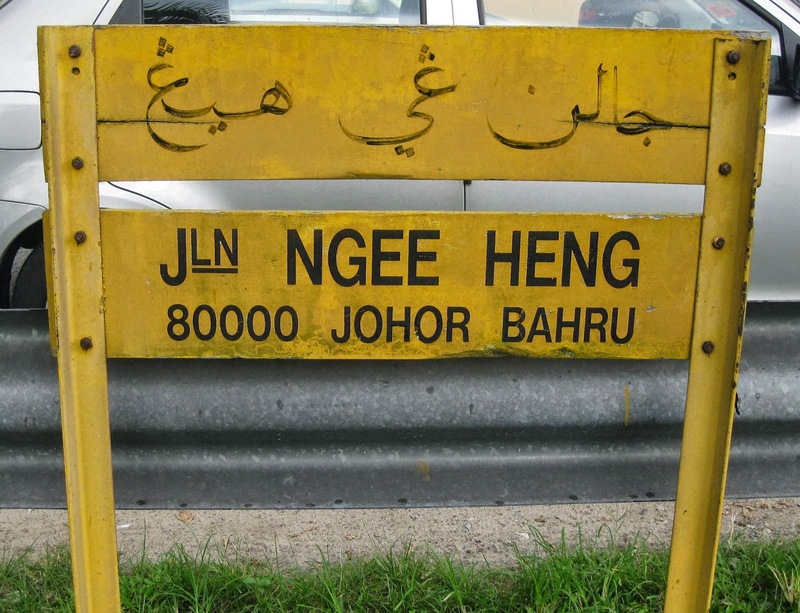 Even with the development of new roads and highways, it’s interesting that this traditional route through Jalan Ngee Heng is still maintained for the parade particularly on the 20th day and 22nd day of the first lunar month when the deities of the Johor Gu Miao or Ancient Chinese Temple at Jalan Trus, exit and return to the temple. This is probably because it is a direct route from the temple at Jalan Trus to the Xing Kong, a shrine at Jalan Ulu Ayer Molek, through Jalan Ngee Heng. As DoubleTree by Hilton Johor Baru is putting the finishing touches to welcome their first guests in July, ONE63 located opposite the hotel at No. 163 Jalan Ngee Heng, has opened as a European Bistro & Bar. While this corner shop was being refurbished some 10 months ago, I used to pass by and was glad to see how the building structure was maintained while it was transformed into a chic little café. I was certainly curious, not just about the cuisine that ONE63 serves but also to see what they have done to turn an old shop into a modern café. Grandfather’s house was a double-storey bungalow with an adjacent badminton court situated at the opposite end of the row of shops to No. 163 and I’m familiar with the double-storey shops that once housed family-run Chinese provision shops, Indian laundries or dhoby, a coffee shop, a tinsmith and even a coffin shop, while the upstairs were living quarters. When grandfather’s house was demolished in 1977 to make way for Jalan Tun Abdul Razak, this row of shops was preserved. Now all the original traders and residents of these shops have moved out and the units are leased out or sold to new businesses like restaurants, specialist clinics and medical laboratories. On Thursday while I was mulling over how modern development is changing the landscape in Jalan Ngee Heng, I was pleasantly surprised to receive an invitation to lunch at ONE63. I jumped at the opportunity to have an experience at ONE63 and must say that I was quite impressed with the meal, the service as well as what they have done to create a charming dining ambience. It was good to meet with one of their business partners, Adelyn Low, who gave me the scoop on how Jalan Ngee Heng is set to evolve with the opening of a few more trendy Food & Beverage outlets in the near future. Who would have thought that an old road like Jalan Ngee Heng could be reinvented and turned into a street with contemporary style and sophistication? The opening of DoubleTree by Hilton Johor Baru and the new businesses in the opposite row of shops will draw a clientele with urbane tastes and I hope more traders will open businesses to meet the demand and work hard at creating and sustaining a vibrant and stylish neighbourhood here. For a start, we can look forward to enjoying local cuisine in an interactive kitchen, pastries and sandwiches from the delicatessen, wine and dine in casual cafes, a European bistro, an Italian trattoria, lounge and bars and even shop at a gourmet grocer at Jalan Ngee Heng. Vivo at Sutera Mall celebrates Vivo Day on April 24! Just imagine the pleasure of dining on vivolicious items in the menu and paying only half the listed prices for an entire day. Imagine no more because this is Vivo’s way of saying a BIG Thank You to loyal customers like you. The Vivo American Pizza & Panini outlet in Sutera Mall, Skudai, is inviting you to celebrate Vivo Day on Thursday, April 24, and enjoy 50% discount on all items in their menu! Ever since customers discovered that Vivo’s quality pizzas are 33% bigger than other pizza brands, they have been coming back for more. Topped with 100% mozzarella cheese, generous amounts of fresh ingredients and prepared with the latest pizza baking technology, pizzas are popular at Vivo and an excellent choice for sharing. Served in a choice of thin or thick crust pastries, Vivo pizzas are not only delicious but certainly good value for your money! Vivo has an interesting menu of more 100 items including American-style pizza, pasta, Panini as well as rice items to meet the taste of Malaysian palates. In fact their baked rice and pasta is an item that has remained popular with customers since its introduction at the opening of Vivo’s first outlet more than 13 years ago. Enjoy a variety of delicious drinks especially tall ice-blended thirst-quenchers like the Choco Brownie Mallows that appears in its actual size on the menu! A serving of Tropical Chicken is distinguished by twin rings of pineapple! Seafood Baked Pasta may take a bit longer to prepare but the wait is worth every bite! in every slice of Mango Mousse Cake! Bring your friends and family along to celebrate Vivo Day on Thursday, April 24! Vivo at Sutera Mall, a halal restaurant, is at Unit L2-029, Level 2 of Sutera Mall, No. 1 Jalan Sutera Tanjung 8/4, Taman Sutera Utama, Skudai, Johor. Open from 10am to 10pm. For enquiries and reservations, Tel: 07 – 559 9228. The queue into Vivo Sutera Mall started from 12 noon while some early birds managed to beat the queue by arriving just after opening time at 10.30am! This was the crowd outside about 2.15pm, hungry and waiting to be seated! Guess who I met at Vivo Sutera Mall on Vivo Day? Tony of Johor Kaki and I had a vivolicious time on Vivo Day at Sutera Mall! While I was travelling last weekend, I received a phone call from Tan Chai Puan, a local cultural activist who was instrumental in the transformation of the Tan Hiok Nee Heritage Walk into a cultural hub in the heart of old Johor Baru. As the Head of the Arts & Cultural Development Department of Southern University College and an Advisor to the Malaysia-China Arts & Cultural Association, Tan is passionate about the preservation of Chinese heritage in Johor Baru and naturally concerned about the Wong Ah Fook mansion. He knew I would be interested in the latest news because I highlighted Wong Ah Fook and the Johor Baru Kwong Siew Heritage Gallery in a recent feature, “Former clan house is heritage gallery” (NST, Feb 11). Needless to say, I was deeply distressed to learn that the historic mansion may soon be demolished to make way for development. I’m a proud Johorean and often show my visitors the new developments in JB as well as our heritage sites but my heart always aches at the sight of the dilapidated state of the Wong Ah Fook mansion. It is a building of considerable historic significance but yet the owners have allowed it to fall into ruin and now it is slated for destruction. As a travel writer with a heart for heritage, I advocate preservation and the promotion of culture and heritage not only as tourist attractions but for the knowledge and education of every new generation of people. Some of us often pay good money to travel to foreign destinations to enjoy visits to historical sites with castles, churches, cemeteries and old buildings to soak in their culture and heritage and come away enriched by fond memories and more knowledge about their local history. In the same way, tourists here can also appreciate the heart and soul of our city when they come to see our well preserved heritage sites and buildings. In JB, we have a rich history with a cross-cultural wealth in heritage buildings and while a lot still needs to be done, the Tan Hiok Nee Heritage Walk has been transformed into an attraction for local and foreign visitors. JB’s uniquely religious Chingay parade has attracted such keen interest among the Chinese in China that their journalists and TV crews now come to cover the event annually to be broadcast as documentaries in China. Incidentally I also learnt that this year’s Chingay event attracted interest from journalists and photographers from National Geographic magazine as well as the Wall Street Journal! Over the years as I worked with leaders of the JB Tiong Hua Association to garner information for my stories, I learnt about the Chinese contribution to the economic development of Johor and their role in transforming JB from virtually a jungle into a thriving township in the 1800s. The strong bond between the Chinese and Malay communities here started with the good relationship between the Johor Royal family and the early Chinese immigrants that established the peace and harmony that is distinctive in Johor. 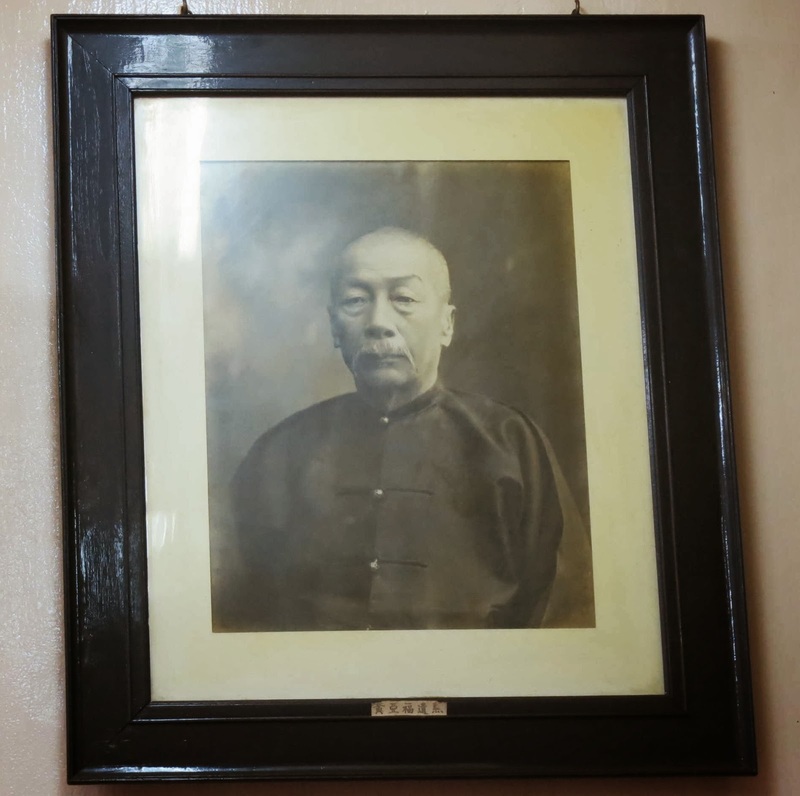 Wong Ah Fook, a carpenter turned builder, entrepreneur and philanthropist, became the chief government contractor and is credited for building the magnificent Istana Besar or Grand Palace, Istana Zahariah, Balai Zahariah and the JB Prison among other significant buildings in JB. 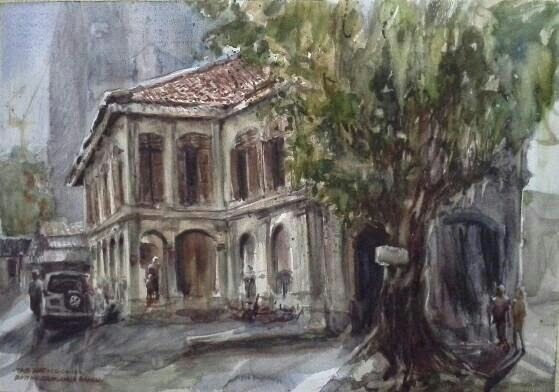 Since the news, “Historic mansion may soon be history” (Star, April 4) was reported about the impending destruction of the 150-year old Wong Ah Fook mansion, my Johor Sketchers friends shared their beautiful sketches of the old mansion with me. 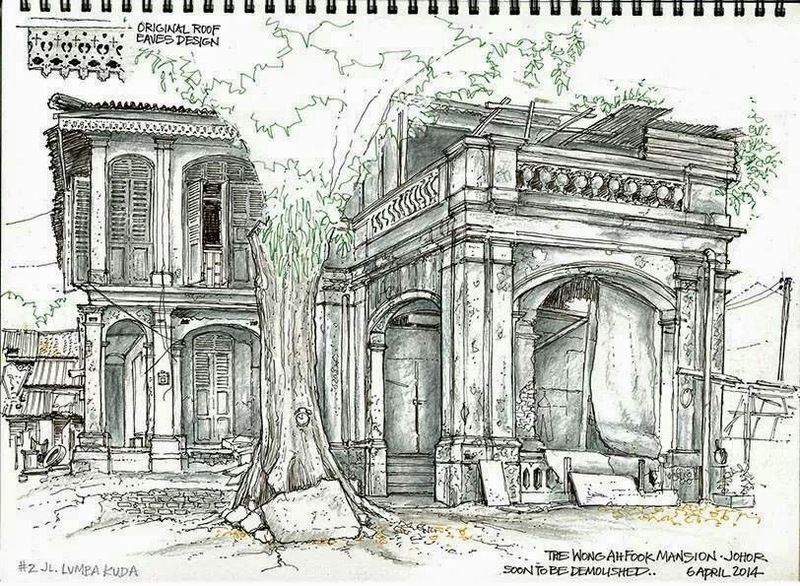 Their passion for sketching has led them to capture some of the most iconic scenes that are unique to Johor which they plan to compile into a valuable resource on Johor life and landscapes. These sketches of the old mansion so clearly portrayed its turn-of-the-century architecture – an aesthetic that is so rare in this region – that it compels me to share them because of its huge potential to be transformed into a place of pride in our city. The social media was also rife with comments that expressed concern over the decision to demolish the old mansion. One of the comments referred to an Iskandar development report on JB Transformation Day dated July 11, 2013 where Menteri Besar Datuk Seri Mohamed Khaled Nordin said, and I quote: “Old and new elements would co-exist in the city centre under this transformation project. Conserving old buildings with significant historical and architectural elements is important in addition to the new developments.” Bearing the sentiments of the Johor Menteri Besar in mind, I hope the developers involved with the project at Bukit Meldrum will apply their architectural expertise to design a development that honours Wong Ah Fook’s legacy in JB and preserve his mansion by turning it into the project’s unique centerpiece. Wong came here as a 17-year old carpenter, got involved with the kangchu agricultural system that built the State’s economy and ended up partnering with the Sultan to build some of our city’s more important buildings. We must value our shared cultural heritage and history by honouring his legacy because his contribution to JB was so significant that the main street in our city is named after him. Preserving the Wong Ah Fook mansion at Bukit Meldrum as a lasting legacy is the first step in the right direction. After two visits to Perth last year, I’m getting better acquainted with Australia’s fastest growing city and its suburbs. With lush parks and waterways that are home to unique black swans, I soon discovered the city’s laid-back charm with artisan attractions at nearby Swan Valley and heritage sites in Fremantle. 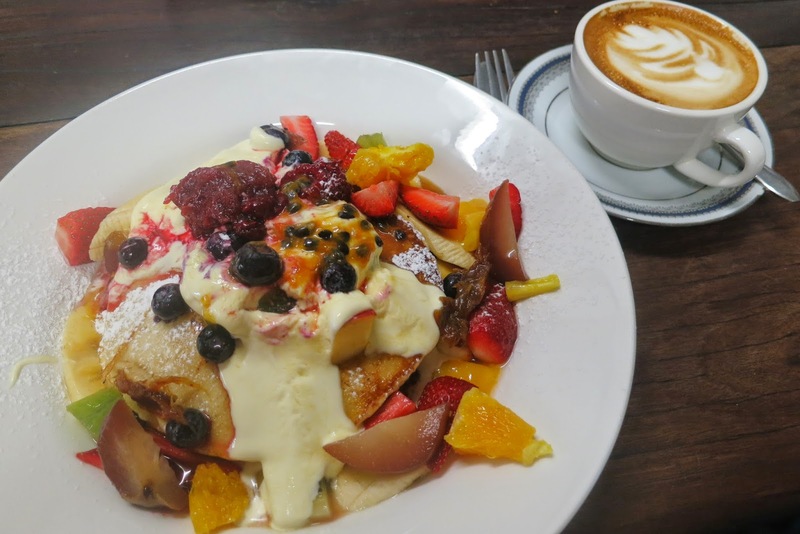 From visiting friends in Joondaloop to browsing around shops in Subiaco, I happily soaked in its relaxed pace and am happy to suggest some things you can do in Perth. That's me with my sister and her family and our friend Jason after Sunday morning service; Going to yum cha at Regal on Roe Seafood Restaurant - one of the must-go dim sum places in Perth! A visit to Perth is not complete without a visit to Kings Park Botanic Gardens which showcases an outstanding collection of Western Australian flora. This is a popular park for picnics and walks and regularly hosts cultural festivals and ceremonial events. The vista point at Kings Park overlooks the Swan River and Darling Range and offers panoramic views of the city Central Business District so be sure to take in the spectacular sight both by day and by night! Have fun sending a message at Kings Park's "whispering wall"
Look for the words “Let silent contemplation be your offering,” engraved around the Pool of Reflection where the Flame of Remembrance burns in the War Memorial in Kings Park. The Court of Contemplation in the Memorial is a curved wall dedicated to those who lost their lives in the Second World War and among the nations listed, I spotted “Malay States” for Malaysia. Go to one end of the curved wall to whisper a message and don’t be surprised when another person at the opposite end of the wall, can hear your words quite distinctly! Alfred’s Kitchen in Guildford is probably closest to what we can call a street food restaurant here because not only is it situated by busy James Street, the meals are served over the counter for takeaways and customers literally just hang around to eat it. This tiny hole-in-the-wall opens late into the night and earned quite a reputation as a legendary burger bar. On a cold wintry night, it’s quite an experience to join other diners around an open fire to sink your teeth into freshly made big burgers and sip on steaming hot pea and ham soup. Chill out with the crowd for a meal at Alfred's Kitchen! 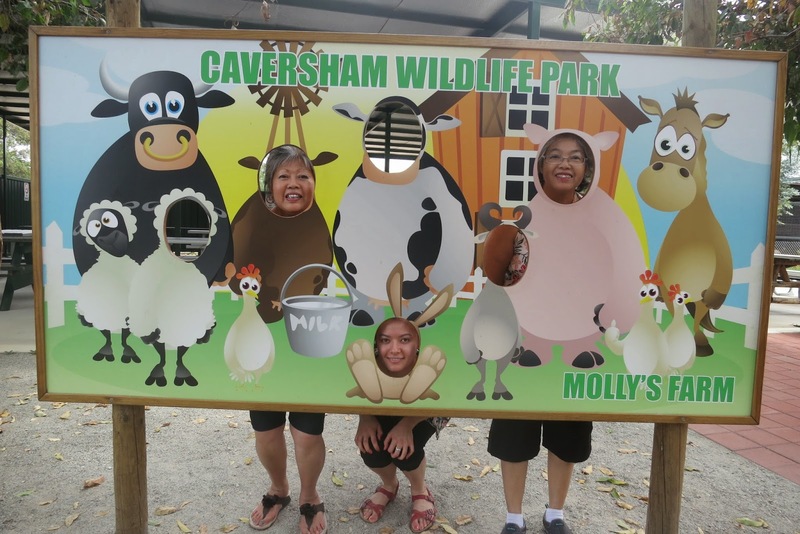 Enjoy a close encounter with wildlife that’s unique to Australia and have a hands-on experience with kangaroos and koalas as well as wombats and bobtails at Caversham Wildlife Park. If you arrive early, follow the show schedule to see what goes on in a typical sheep farm with opportunities to pet a sheep, milk a cow and for young children to feed the lambs. This privately owned animal sanctuary is a one-stop park for visitors to enjoy a bit of the Australian bush and its unique creatures. As its name suggests, the House of Honey stocks a range of honey products but it also has a cosy little cafe that serves cakes and hot beverages. Take a look at the chalk board to see the day’s specials which usually promotes a slice of cake served with coffee or tea. This is perfect for an afternoon tea indulgence because the cake portion is generous and often served with a side of fresh whipped cream or ice-cream! Spend a day at Fremantle, better known as “Freo” in the local lingo, to visit historic attractions like the Round House, the Maritime Museum and Fremantle Prison and then browse around heritage-listed streets and Fremantle Markets. On weekends, Freo can be crowded with visitors who come to soak in the atmosphere while they watch buskers perform and shop for souvenirs. The Markets has over 150 stalls that stock a range of exciting knick-knacks, snacks as well as fresh produce. Fremantle is dotted with a wide range of cafes, pubs and restaurants and Little Creatures is a little of each because it is a brewery which also serves decent meals. Beer connoisseurs will enjoy a tour of the brewery with their meal and even buy souvenirs like premium items as well as a choice of bottled beer. While it has a yuppie pub vibe, a meal served by the friendly and efficient team at Little Creatures is something special to experience in Freo!